BREVARD COUNTY, Florida - Florida Fish and Wildlife officials captured a green anaconda in Brevard County, Florida. 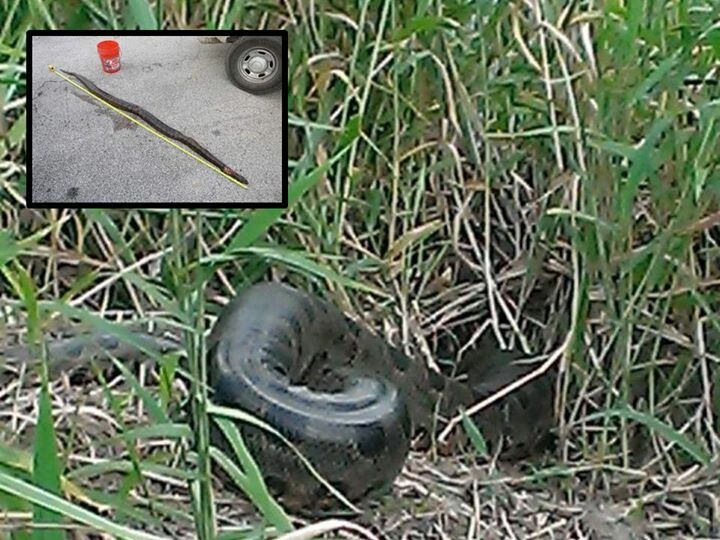 According to FWC, the snake was captured in the St. John's River near the Orange County line off of State Road 50. The aquatic reptile measured over 9 feet in length which is just over half the size an average anaconda will reach at full maturity (15-17 feet). The green anaconda is the largest, heaviest, and second-longest snake species in the world capable of eating wild boars and deer. FWC officials killed the snake because the anaconda is native to South America and is considered an invasive species in Florida. The snake's death caused some controversy on social media. "I don't even care for snakes but the fact that they euthanize it makes me sick," was a common sentiment expressed on FWC Facebook page after the snakes discovery was announced. Anacondas are not allowed to be kept as pets. Anyone who possesses an anaconda can surrender the animal to a licensed recipient at any time with no penalties. These snakes can also be surrendered during Exotic Pet Amnesty Day events. If you see nonnative fish and wildlife, FWC asks that you please report them to their Invasive Species Hotline at 1-888-IveGot1 (1-888-483-4861), online at IVEGOT1.org or by using the free smart phone app IVEGOT1.